Have you written a self improvement article that you might like to publish? This is the place you can contribute and publish self help content you have written. I accept quality articles related to personal development and self growth. Guest posts are NOT published at the Forward Steps blog where you are now UNLESS… your article is of a quality and depth which impressed me and you have followed publishing instructions meticulously. Only one, single ‘nofollow’ link is allowed and posted in the article’s bio. 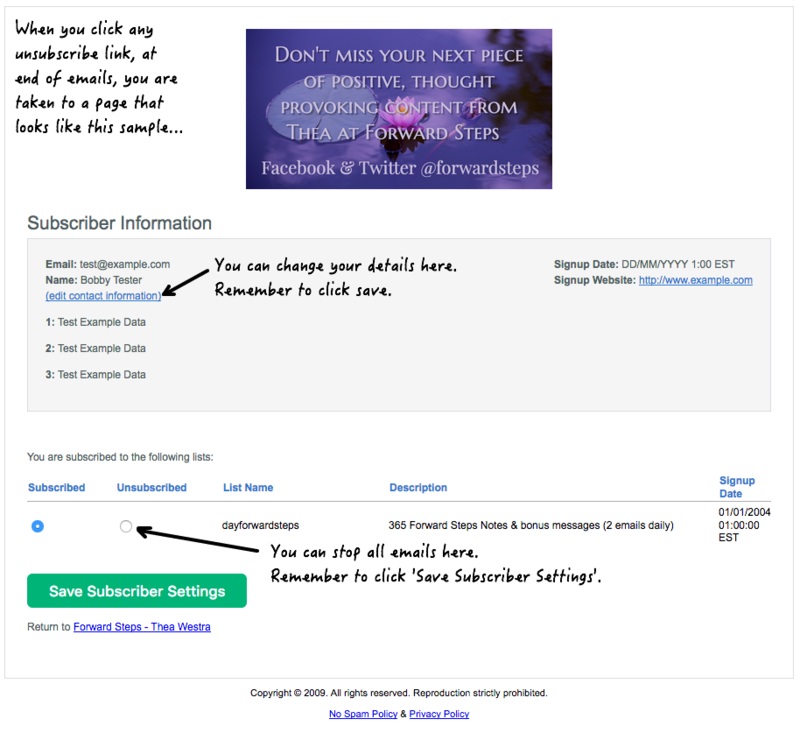 Below, you’ll see the continuous promotion that your article receives from me. To publish, ONLY use the link for article submissions that’s provided further below. I do not accept articles sent to me directly in emailed attachment files. 1. It is FREE to publish a self growth article with me and no reciprocation of any kind is expected from you. 2. Your article will be published provided that it is good quality, that your bio points to your own, genuine and well presented website, and that your article brings great value to Forward Steps readers. It will be displayed on the home page of the guest blog while it remains one of 20+ most recent blog posts. 5. 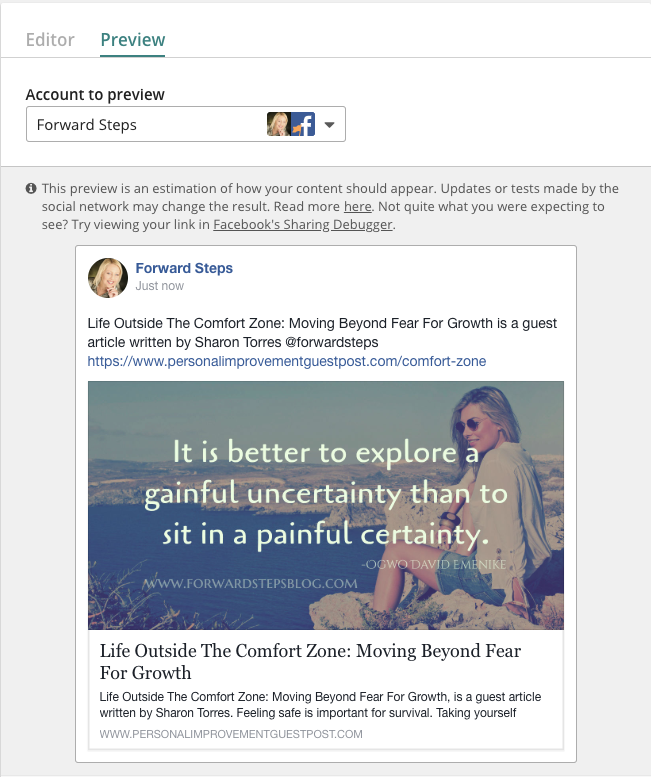 Your article post will also be introduced and linked in one of the 365 Forward Steps Notes, for my subscribers to “bump into” along their journey through their regular Forward Steps series. You can see a recent example of a Note with article inserted, here. 6. Please be aware of copyright when sending material. All the work needs to be your own or work to which you have full rights. 7. I will create images for your article. You can see examples in the more recent articles published at this blog. Those images are used by me for sharing your article at social sites (as outlined above). 8. It is important for you to also include 3 or 4 lines about yourself and your website. Your bio needs to include a live link back to your personal improvement web site. If you do not include a few lines of bio about yourself and your site then your contribution will not be published. ALSO, the ONLY place where links will be placed in your article is within the bio, not anywhere within your article content. 9. Please… use this proof reader, before sending your contribution. 10. If your post’s bio contains links to products that have an affiliate program, then… if I am already a member of that program, I will replace your URL, with my own affiliate URL. Note too, that I may make small edits to your article on occasion. These will not alter the meaning of your text and might simply be grammar or spelling changes. You might need to wait up to a week (sometimes a little longer), before I post your article contribution, and publication time will depend on my schedule! Meantime, I recommend reading this excellent advice by Glen Allsopp “Guest Blogging: The Ultimate Guide” and this excellent post by Peter Sandeen.